It is not unusual for territorial tensions to exist between chaplains and nurses. Yet recent research findings indicate that spiritual care provided by the health care team can produce positive outcomes for patients. It behooves chaplains to understand how nurses think and act with regard to spiritual care, so that they can collaborate with and support nurses in learning more about supporting patients' spiritual well-being. This presentation, provided by a nurse educator with chaplaincy training, will address how chaplains can work more effectively with nurses. 1.Identify reasons why chaplains should collaborate with nurses to provide spiritual care to persons with illness. 2. Understand how nurses perceive spirituality and spiritual care, and how they respond to professional mandates for spiritual care. 3. Obtain curricular content that is important for chaplains to include in staff education for nurses. Content level: Intermediate - Informal research, clinical applications. Elizabeth Johnston Taylor PhD RN is an associate professor at the Loma Linda University School of Nursing, Loma Linda, CA. Taylor earned her MSN and PhD from the University of Pennsylvania, and completed a post-doctoral fellowship at UCLA. She has received training in Clinical Pastoral Education and spiritual direction. Her program of research explores spiritual responses to illness and nurse-provided spiritual care. She has authored or coauthored more than 70 publications, 10 funded research projects and four books, including Spiritual Care: Nursing Theory, Research, and Practice [2002, Prentice Hall] and Religion: A Clinical Guide for Nurses [2012, Springer]. 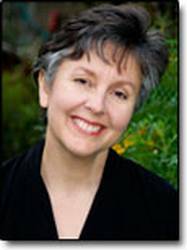 She lectures frequently on spirituality and health, and serves on the editorial boards of the Journal of Christian Nursing, Holistic Nursing Practice and Home Healthcare Nurse. When you purchase this webinar recording, you will receive a PDF file with links to watch the recording and access supplemental materials directly from our website. You'll be able to hear and see the complete presentation, including Q&A with the audience. To participate, all that is needed is a computer with Internet access and speakers, as the presentation audio and visuals are "webcast."